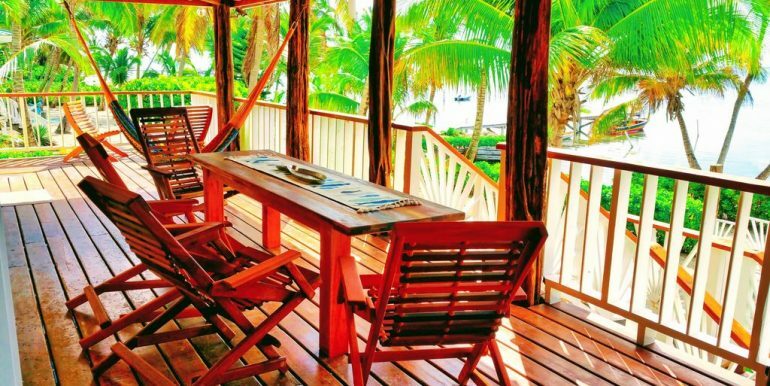 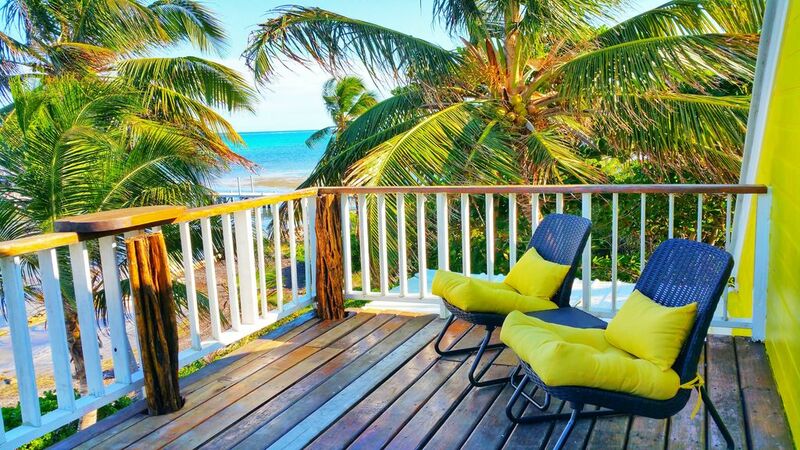 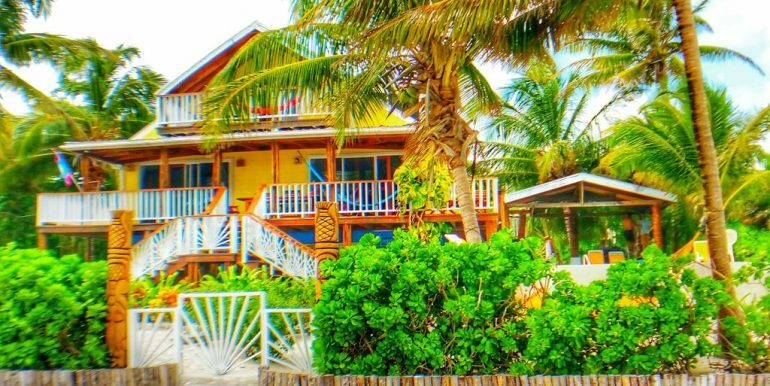 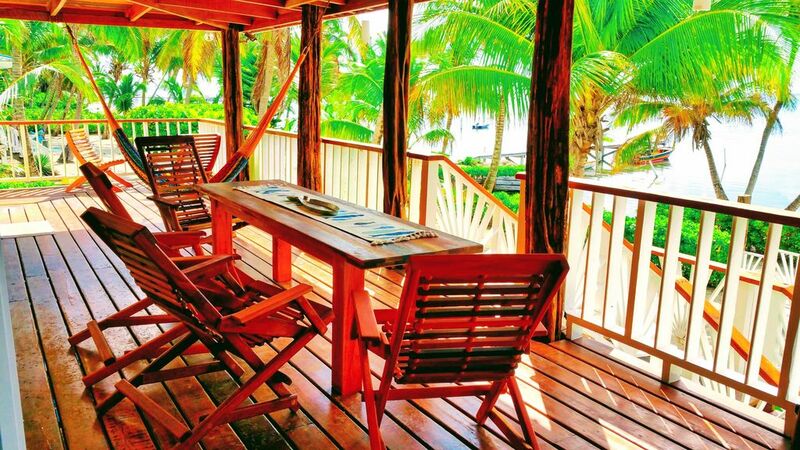 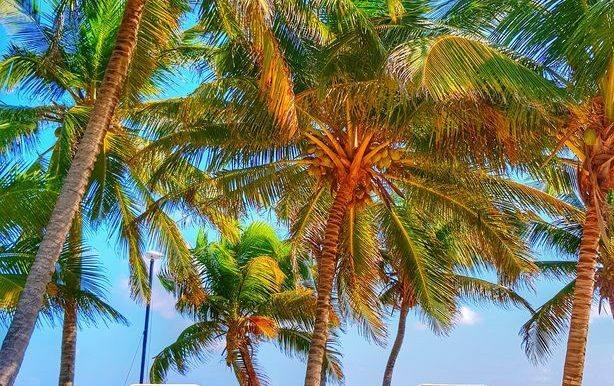 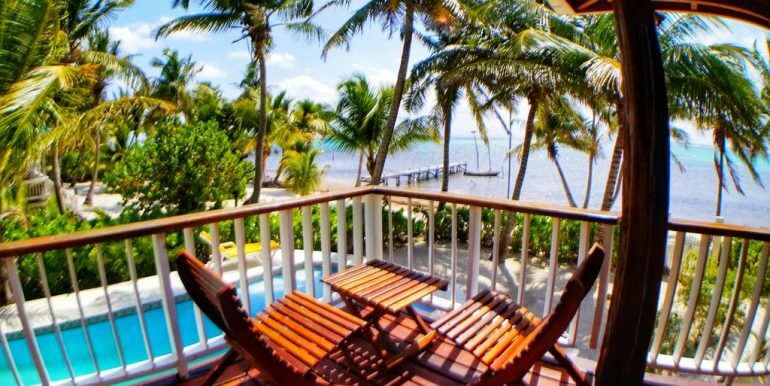 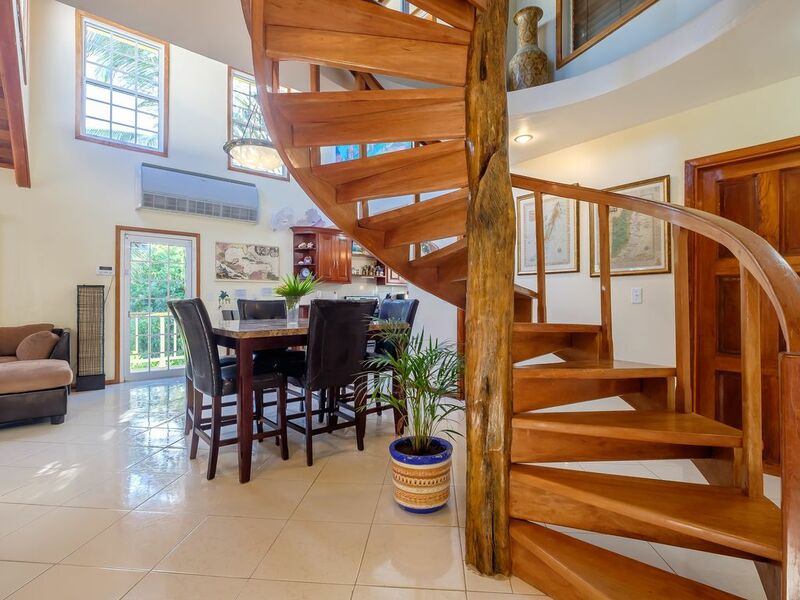 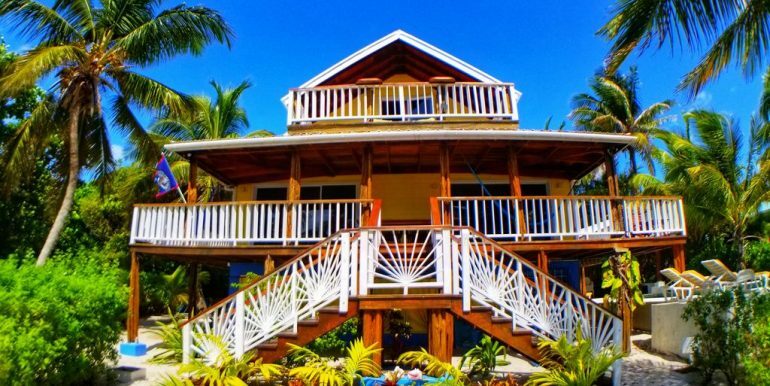 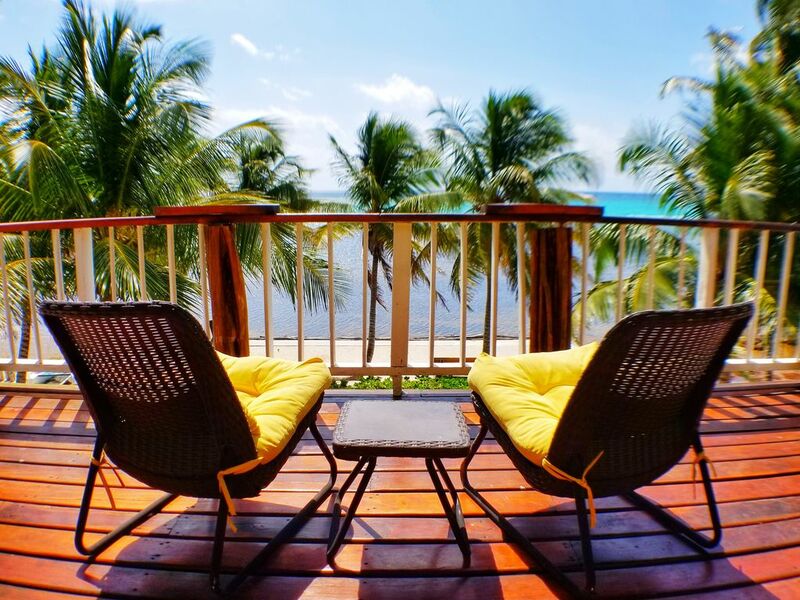 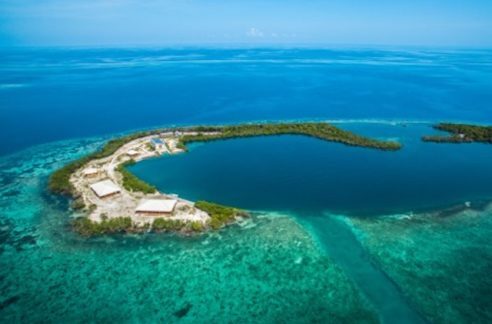 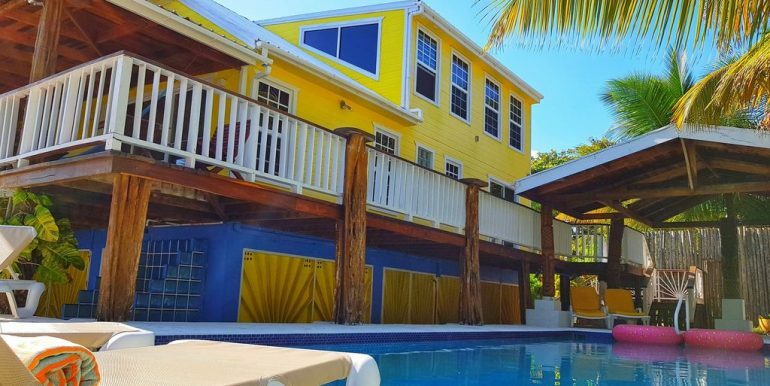 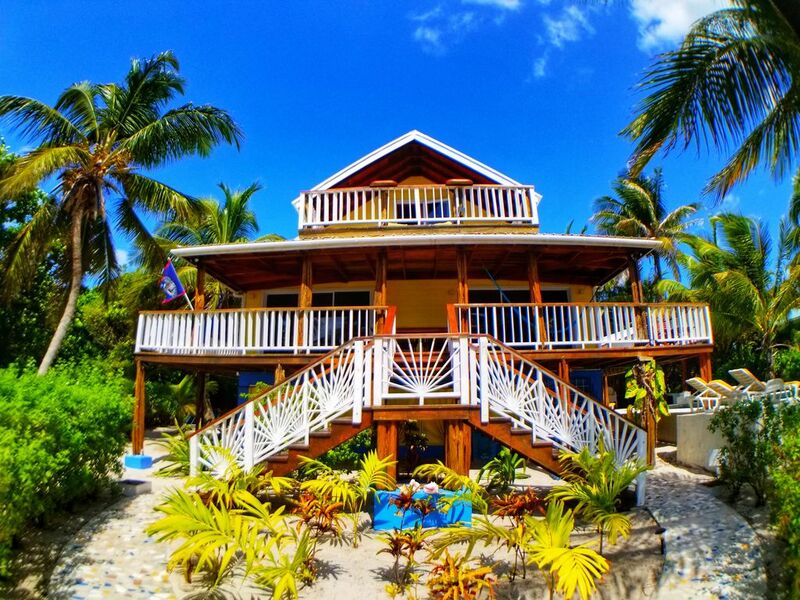 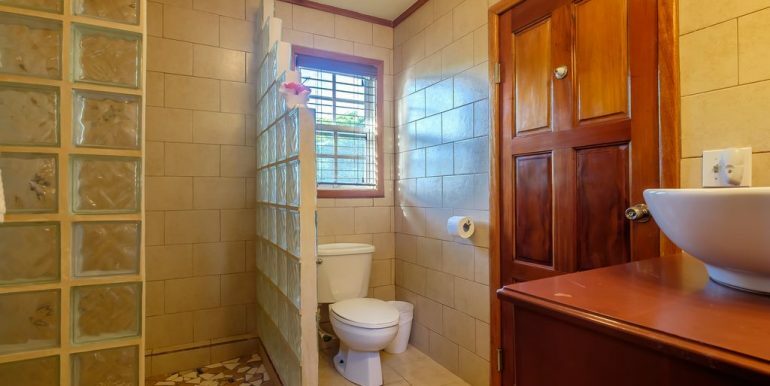 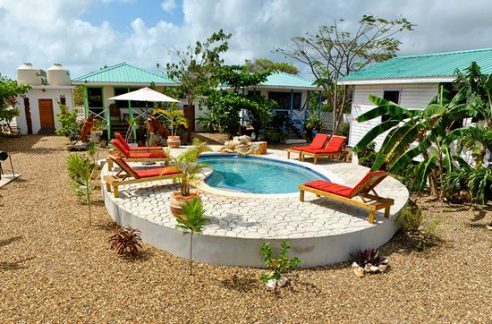 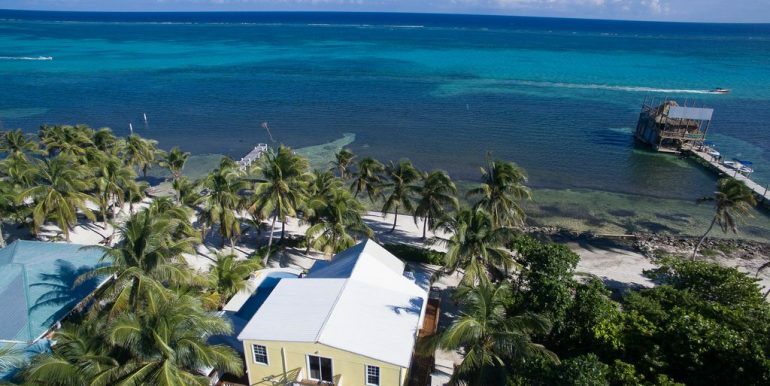 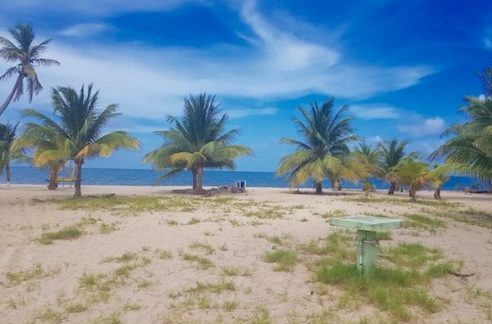 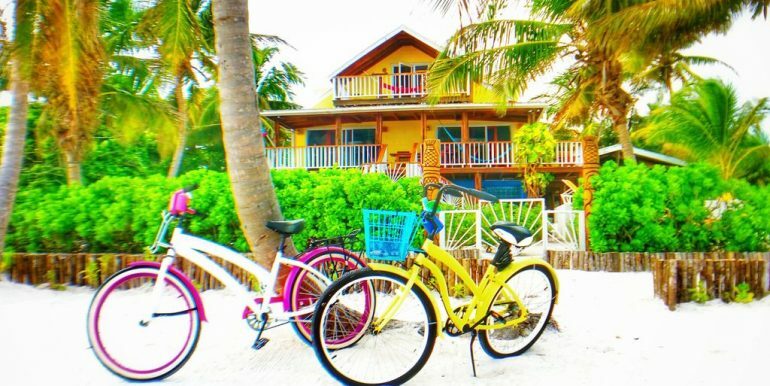 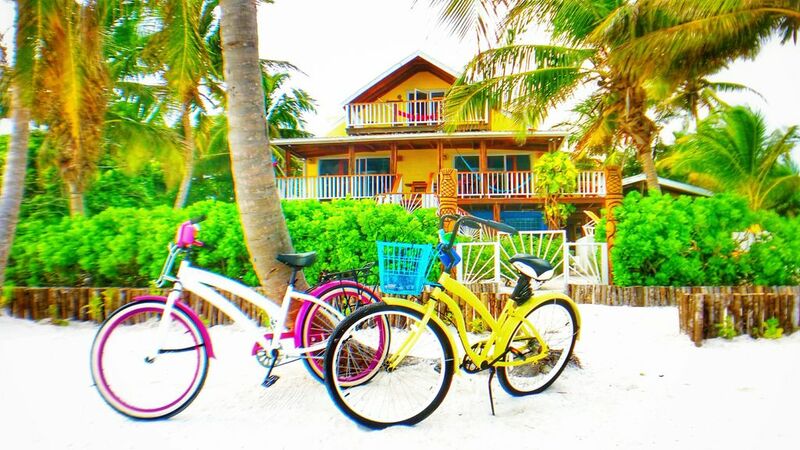 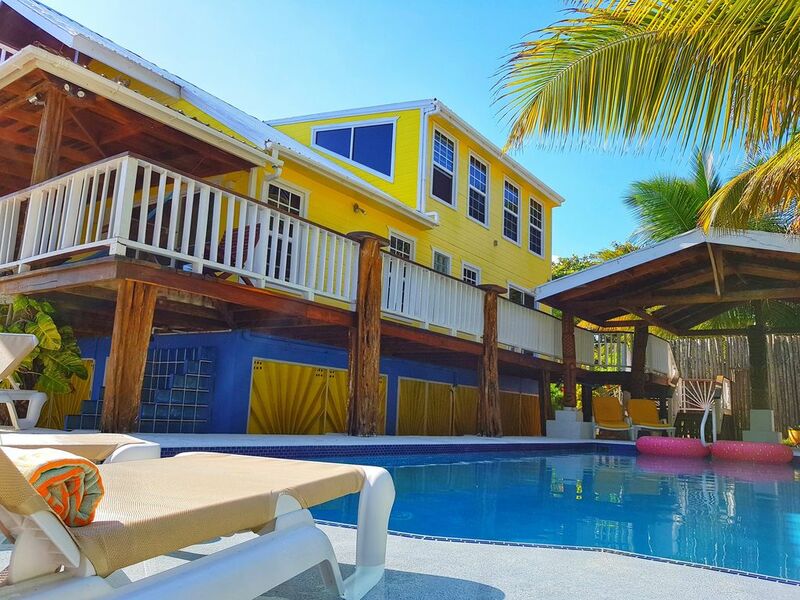 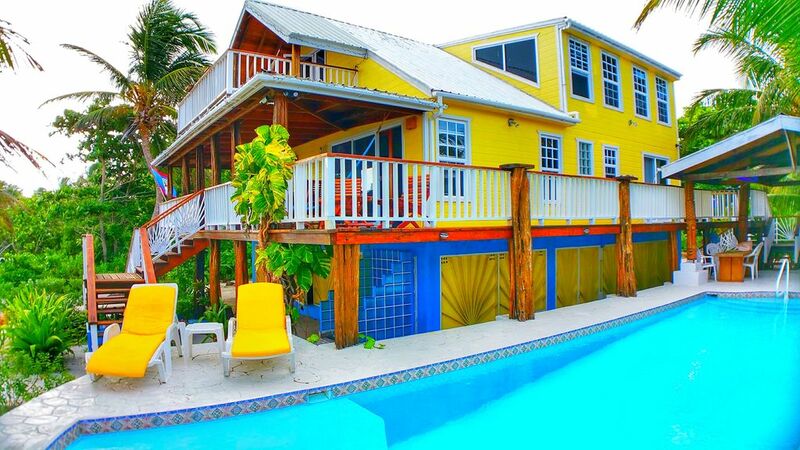 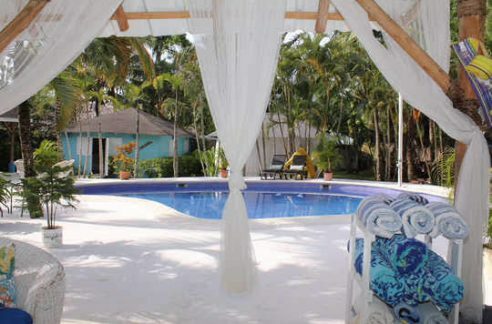 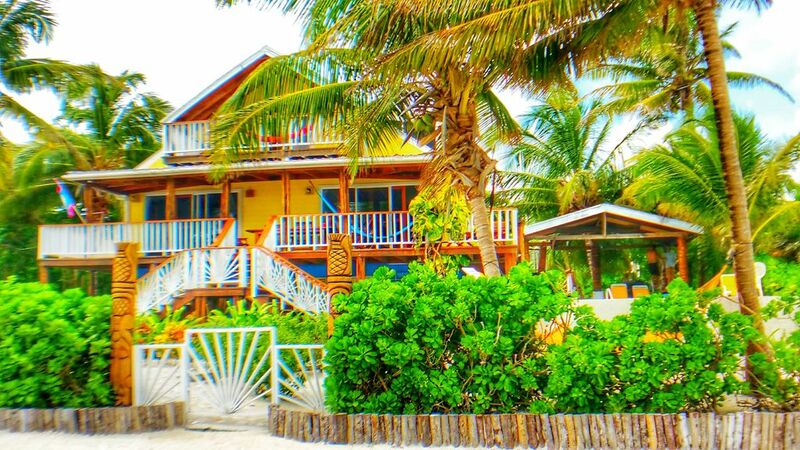 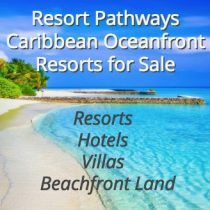 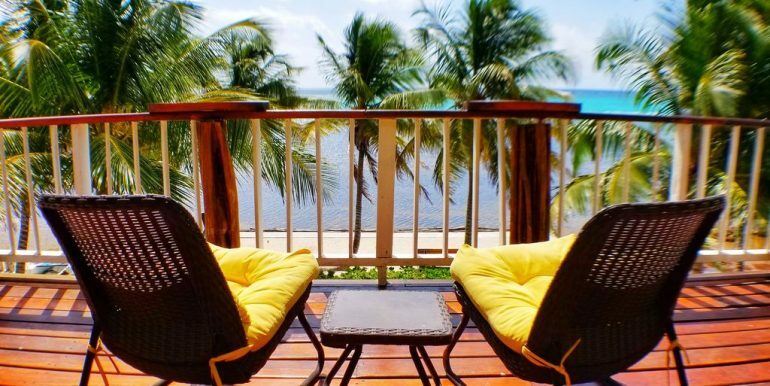 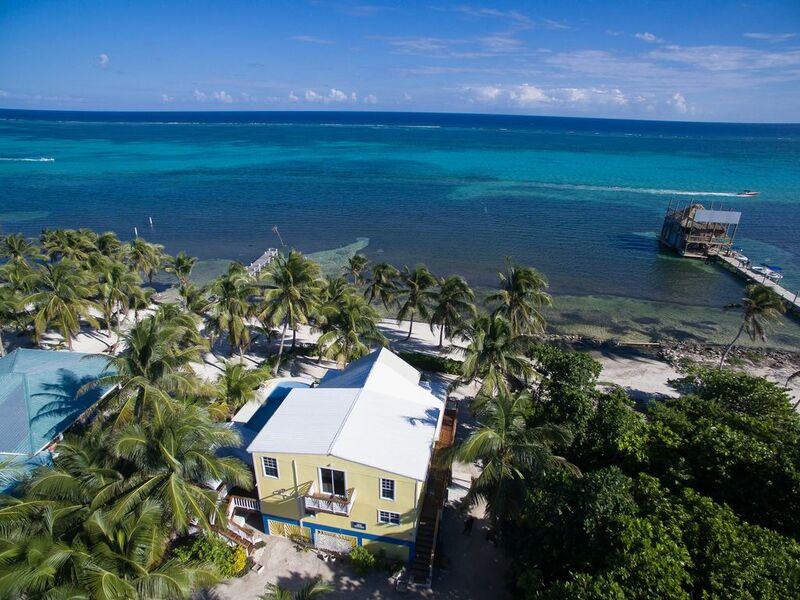 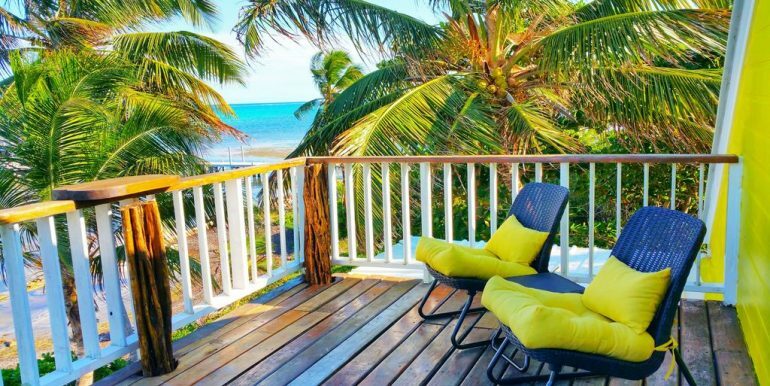 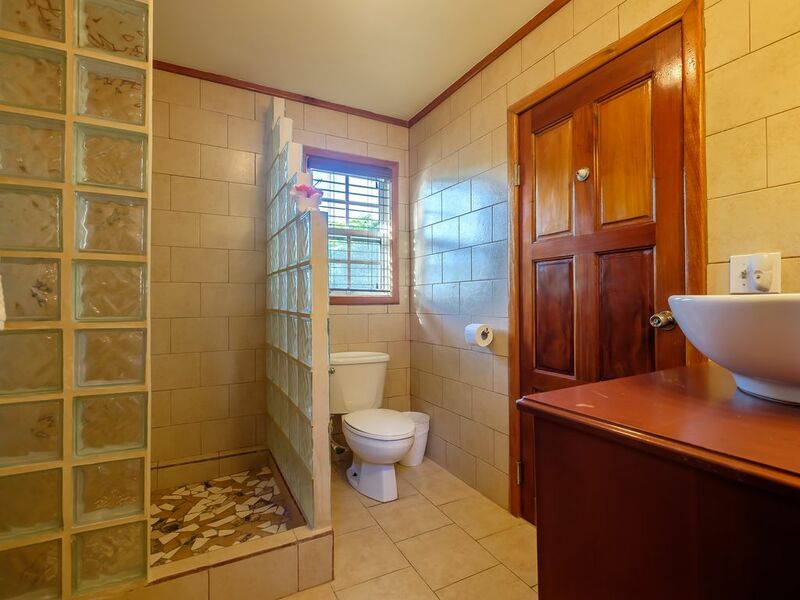 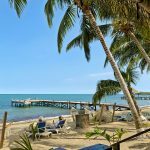 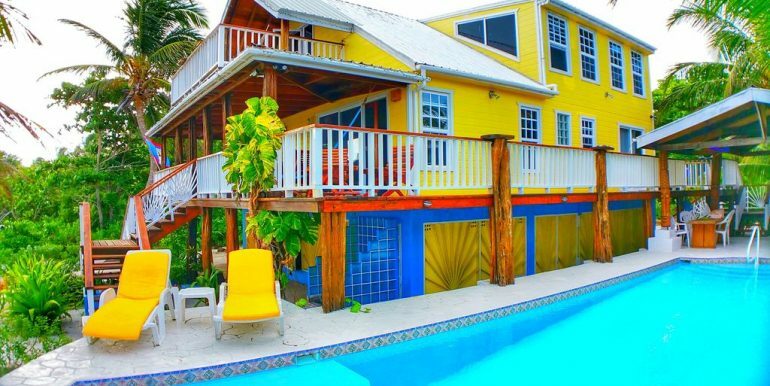 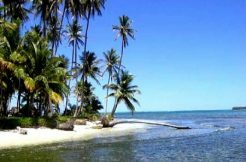 Escape to paradise in your own Ambergris Caye Belize beachfront villa for sale…. 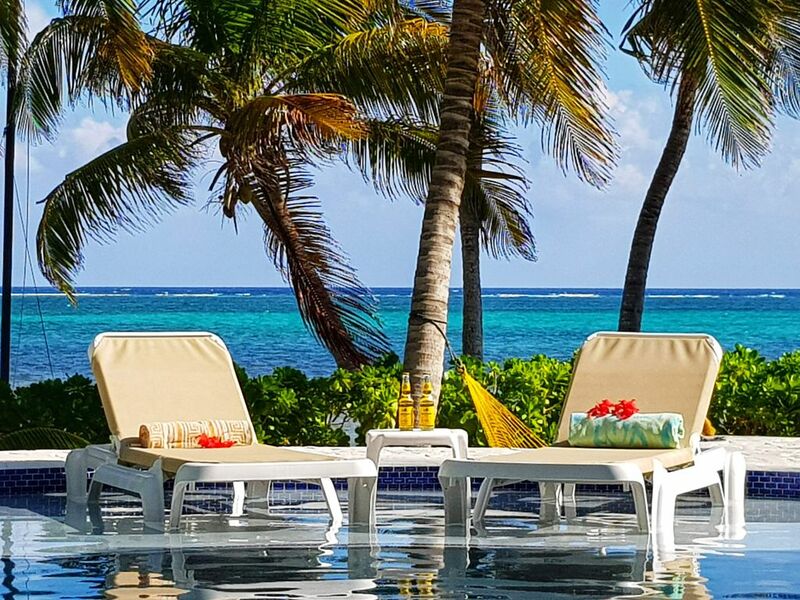 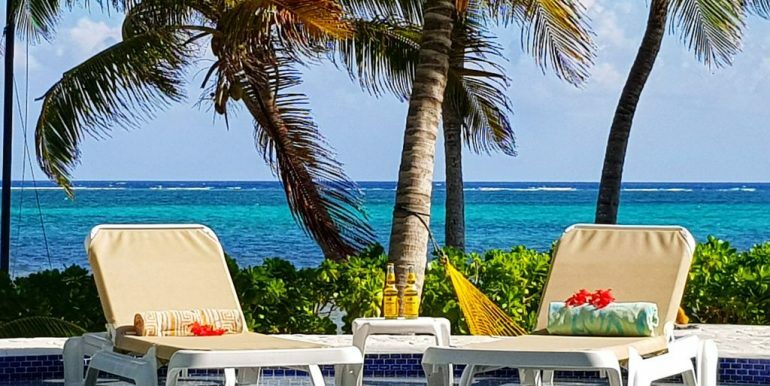 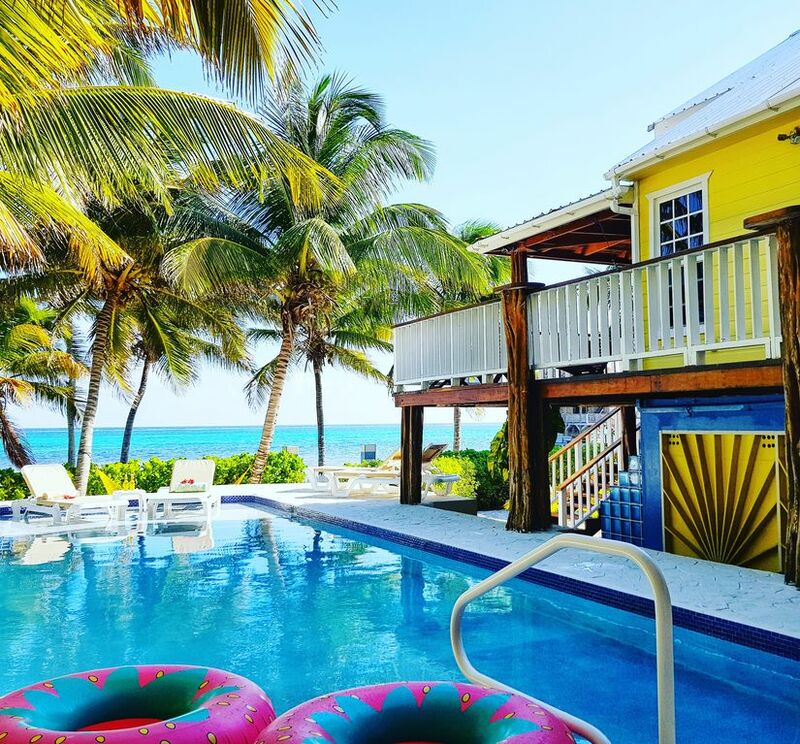 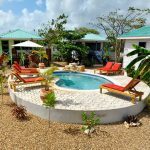 Casa Paradiso is a spectacular three bedroom villa in Ambergris Caye with private pool and beach – offering tranquility, splendor, romance, and casually elegant tropical living. 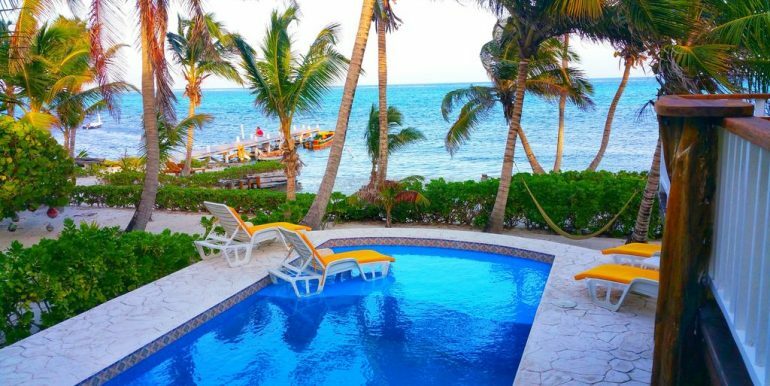 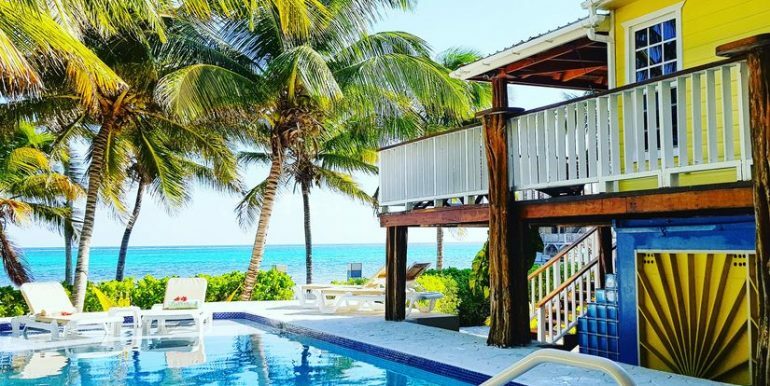 The Ambergris Caye villa’s open design maximizes sea views and ocean breezes, inviting you to experience a private vacation retreat. 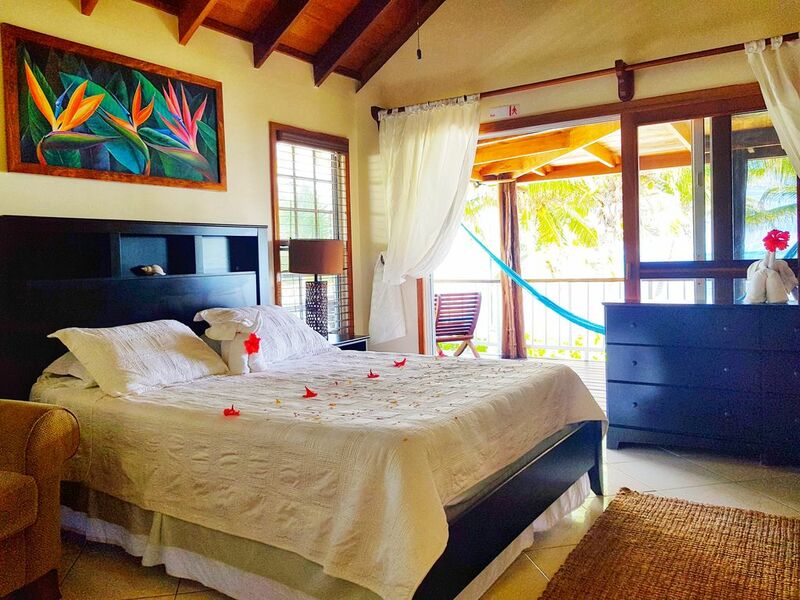 The villa features three all en-suite bedrooms and comfortably accommodates up to six guests. 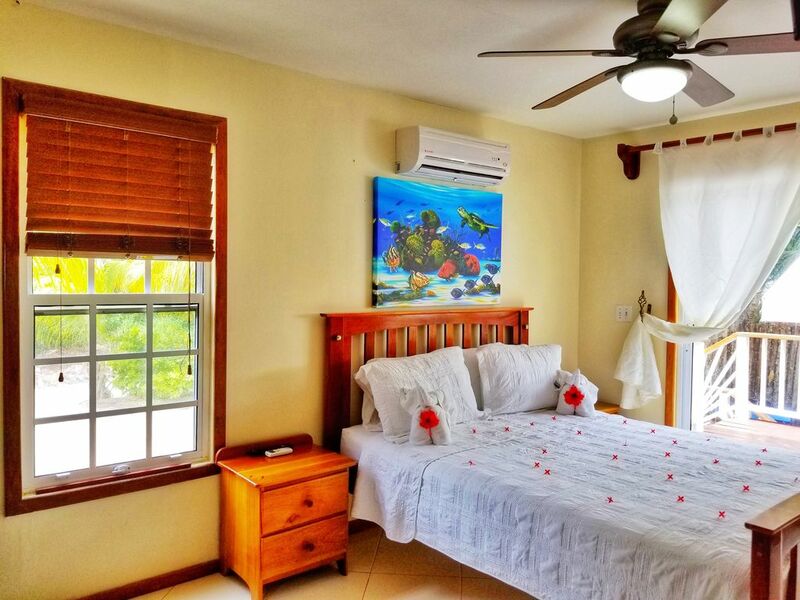 The beachfront villa is only 1 mile from town, yet located in the most exclusive area in a private, jungle-meets-beach setting. 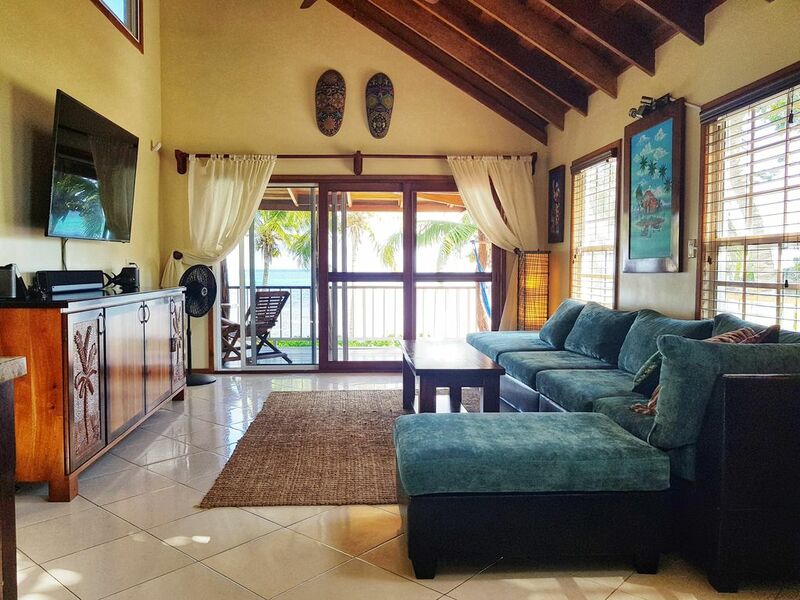 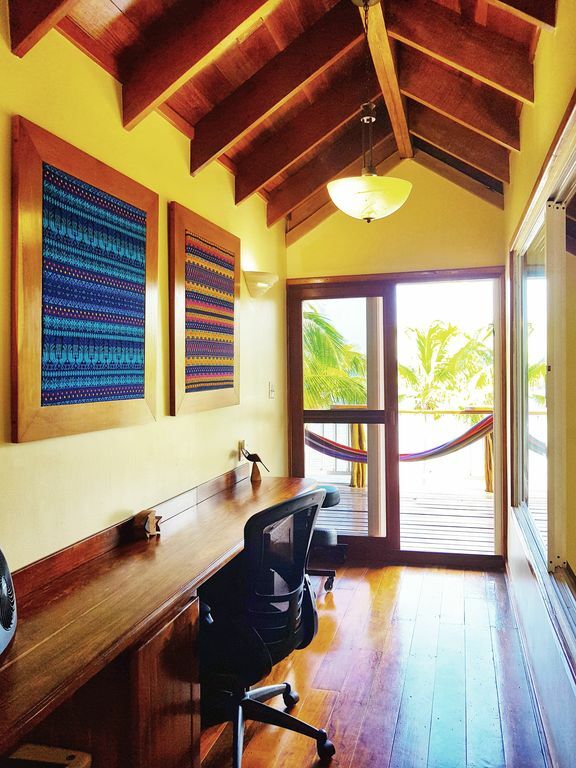 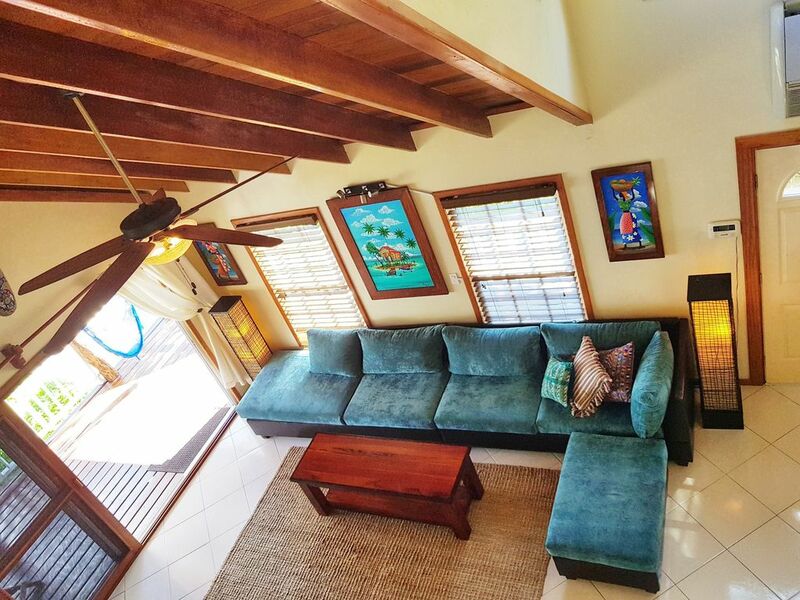 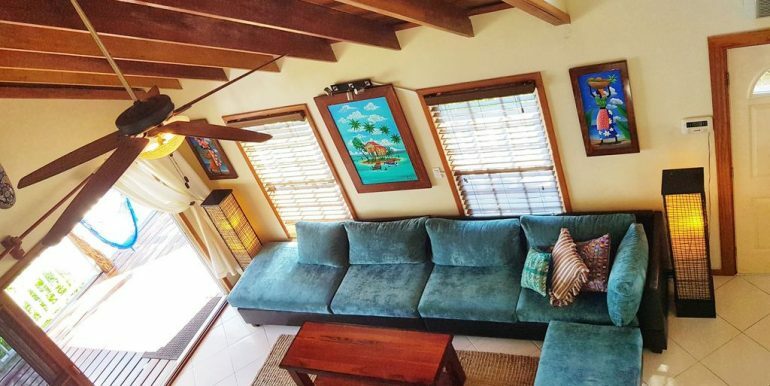 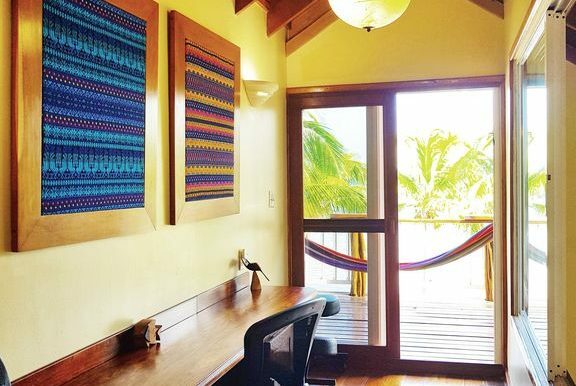 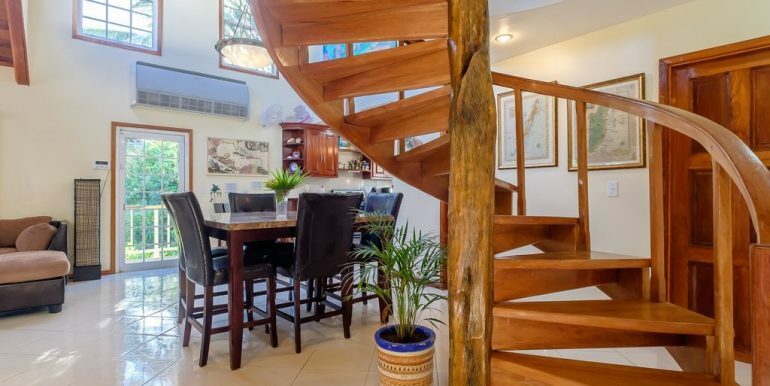 Casa Paradiso features a spacious living area with tropical-Belizean flair and contemporary furnishings making entertaining a breeze. 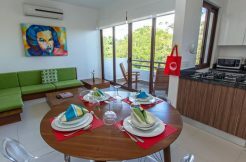 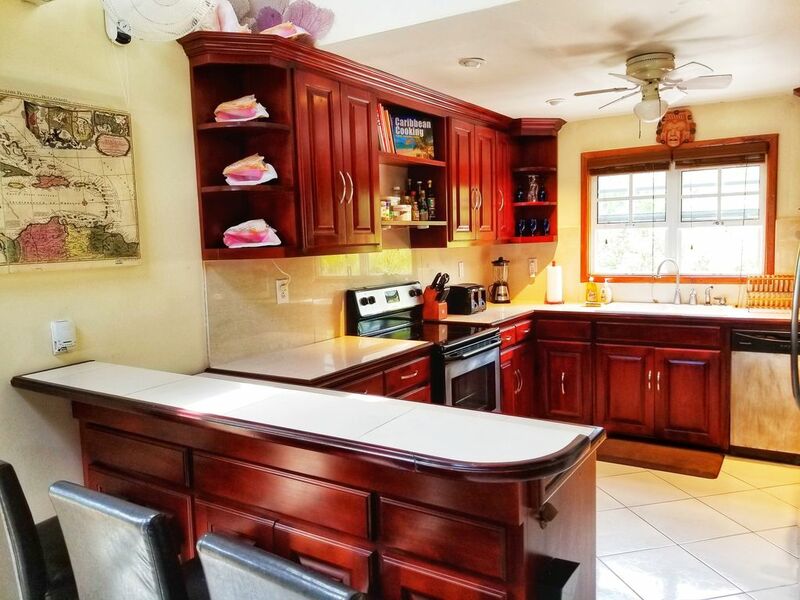 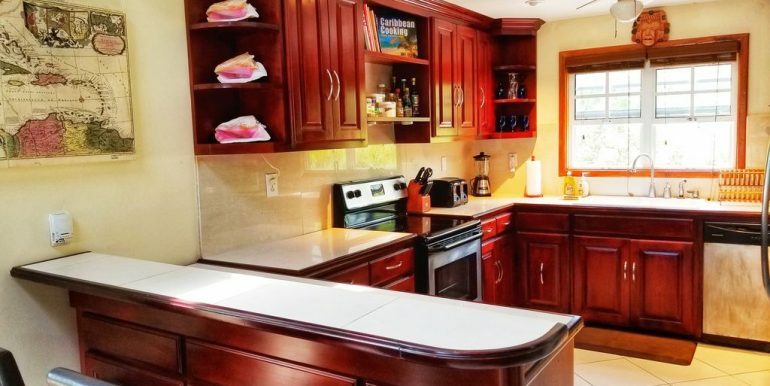 The bright and fully-equipped kitchen features all that you or your chef will need to prepare any cuisine. 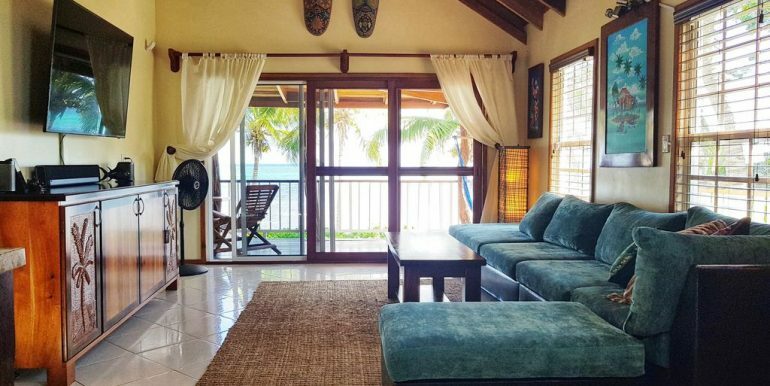 The beautiful great room leads out to an expansive deck that looks over a large, private pool, comfortable lounge chairs and separate sitting areas that provide many options for sunbathing, napping, or just relaxing with a good book. 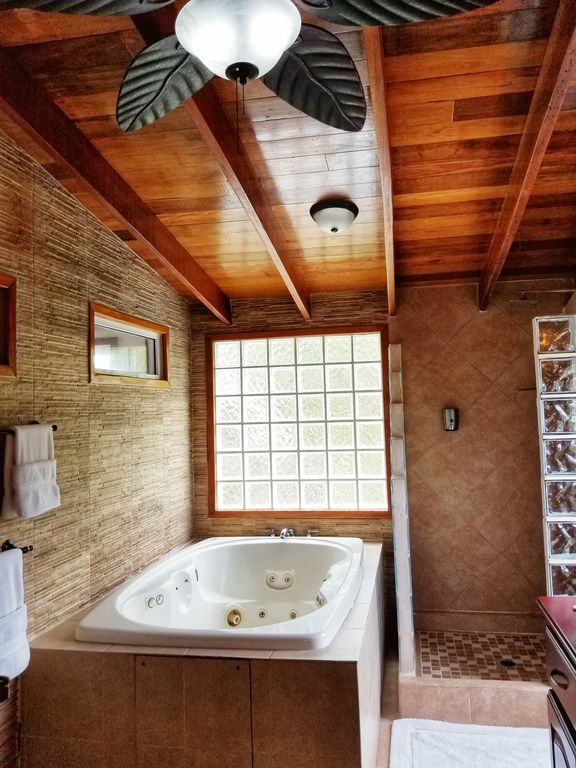 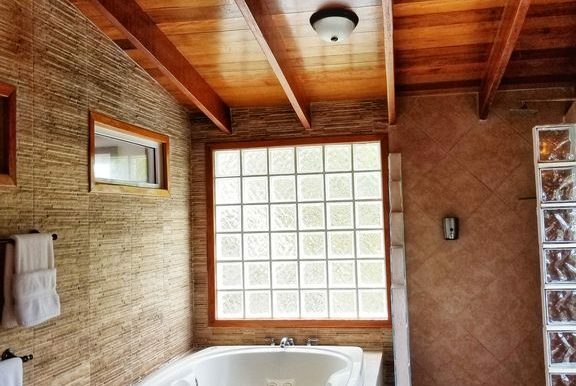 The master suite features a king tempurpedic bed, private balcony and a jetted tub. 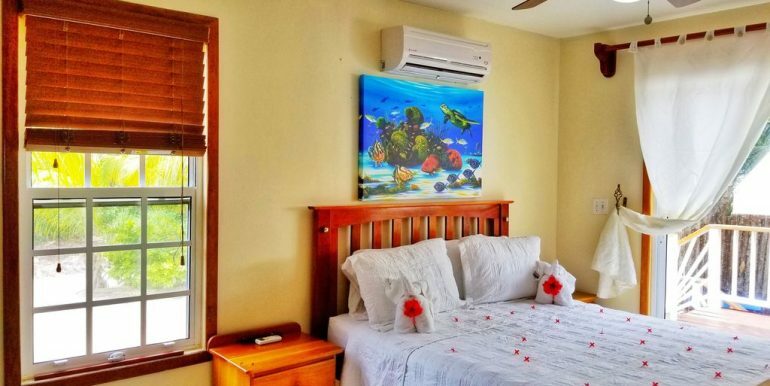 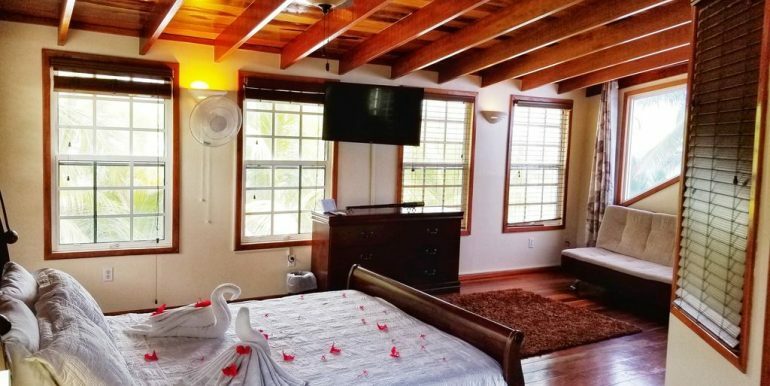 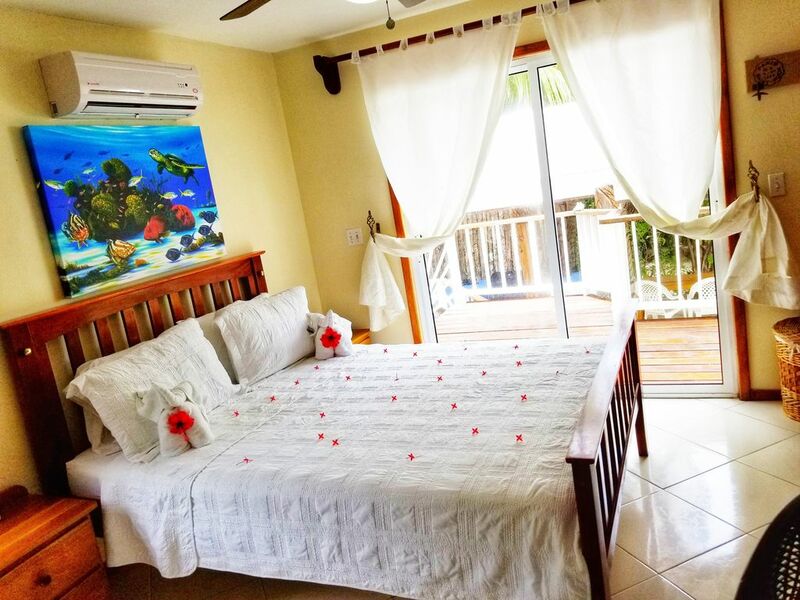 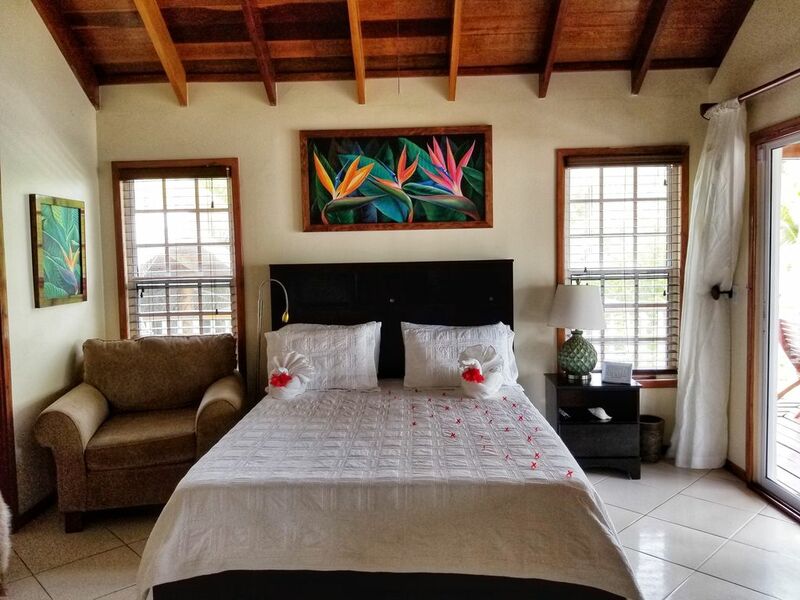 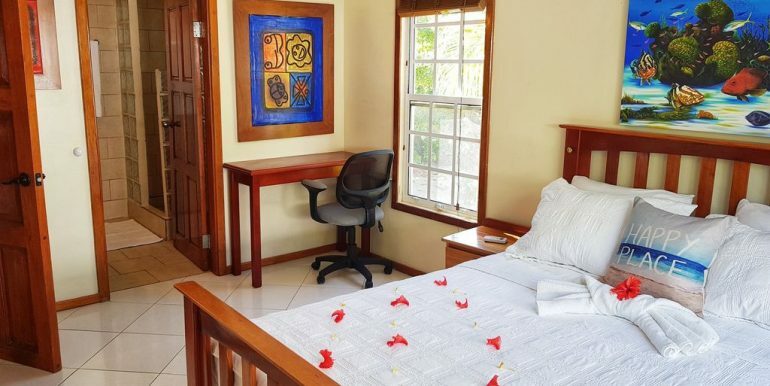 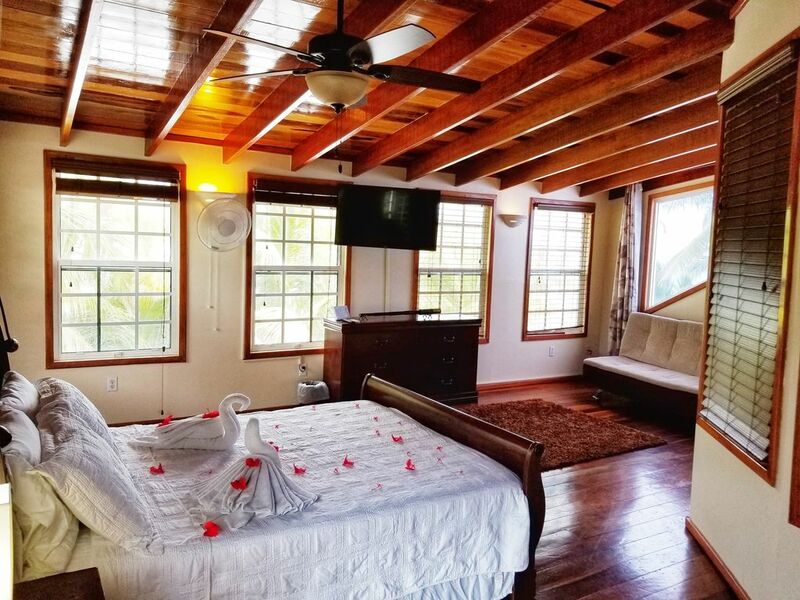 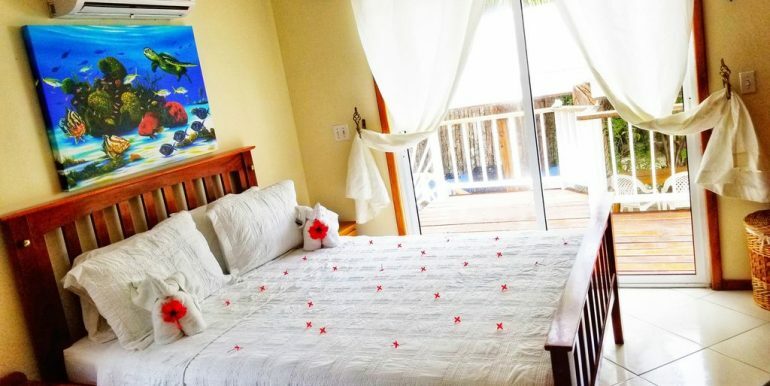 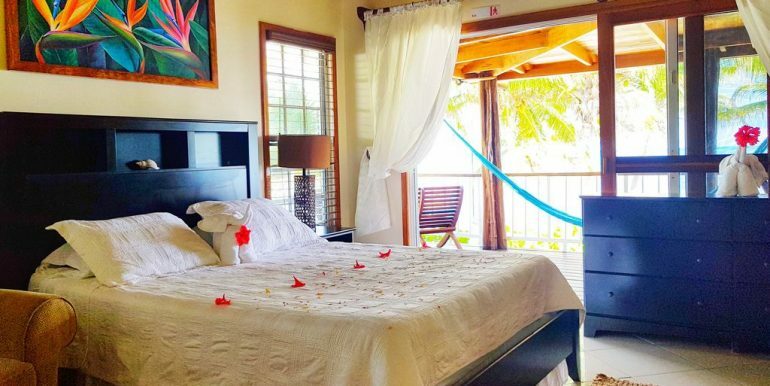 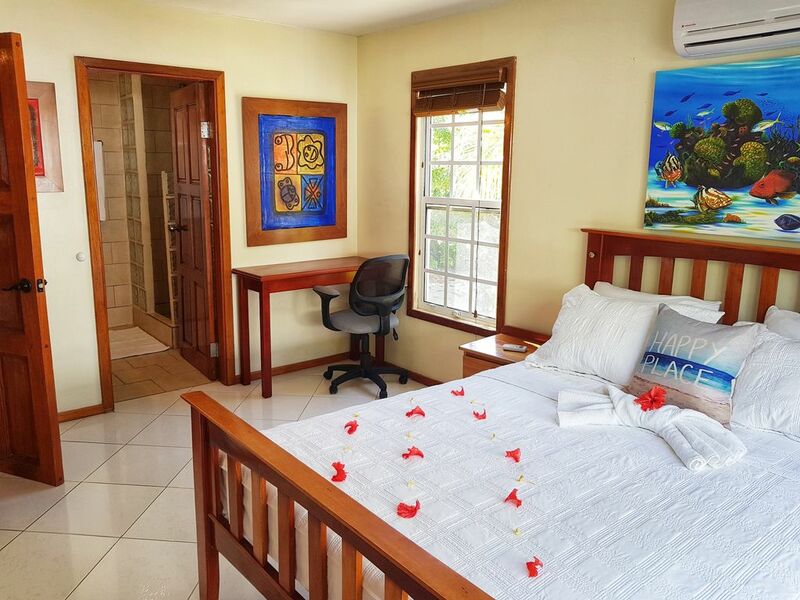 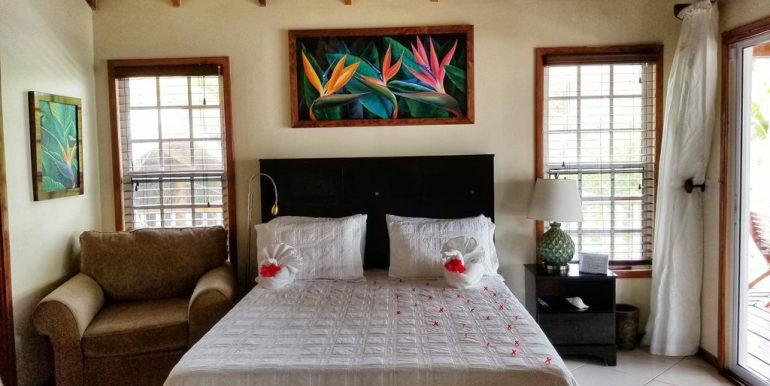 All bedrooms have tempurpedic queen beds, ensuite bathrooms and flat screen TV’s..
Special touches throughout this lovely villa reflect the extensive efforts to make this villa comfortable and relaxing for guests. 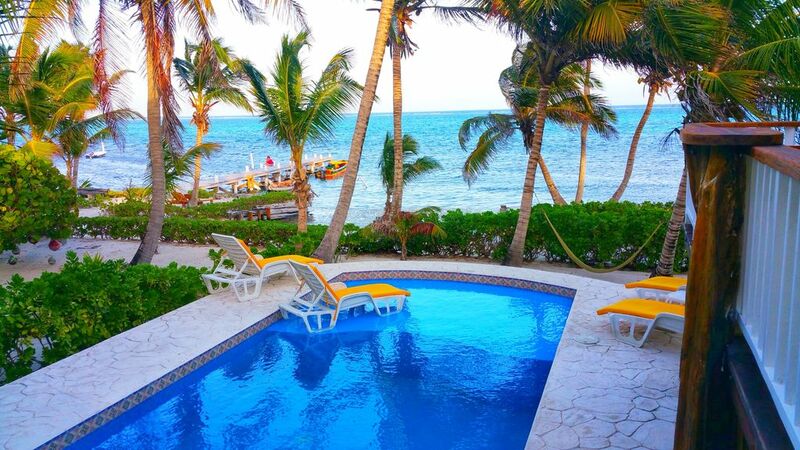 Finally, the private pool completes our house in paradise. 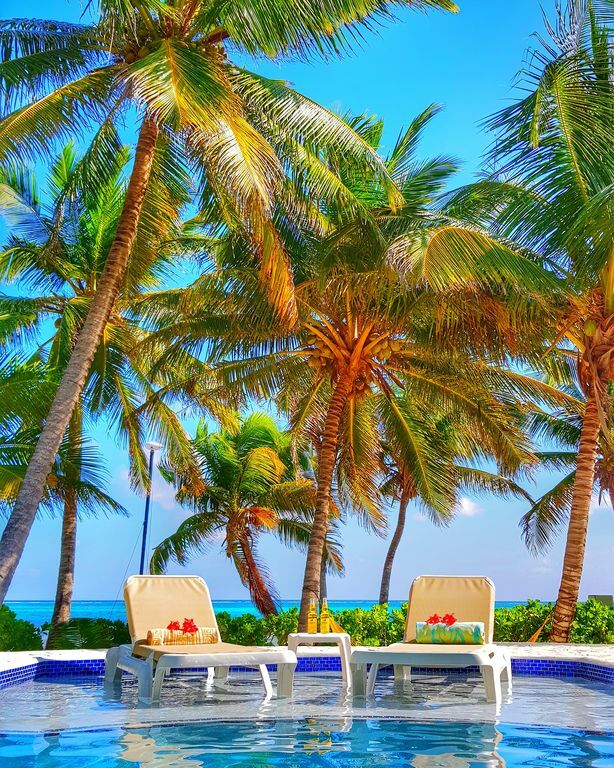 Surrounded by coconut palms (last count, 38) and tropical plants, the large pool features a shallow sunning area and bright yellow lounge chairs . 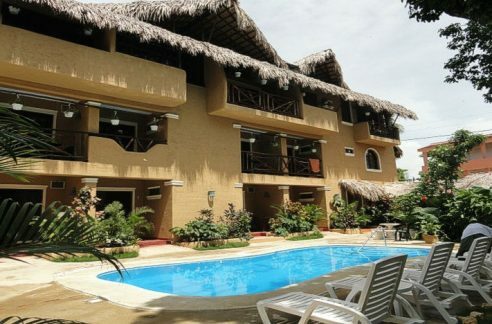 Our palapa offers dining and a shady area to grill fish and lobster while enjoying the pool! 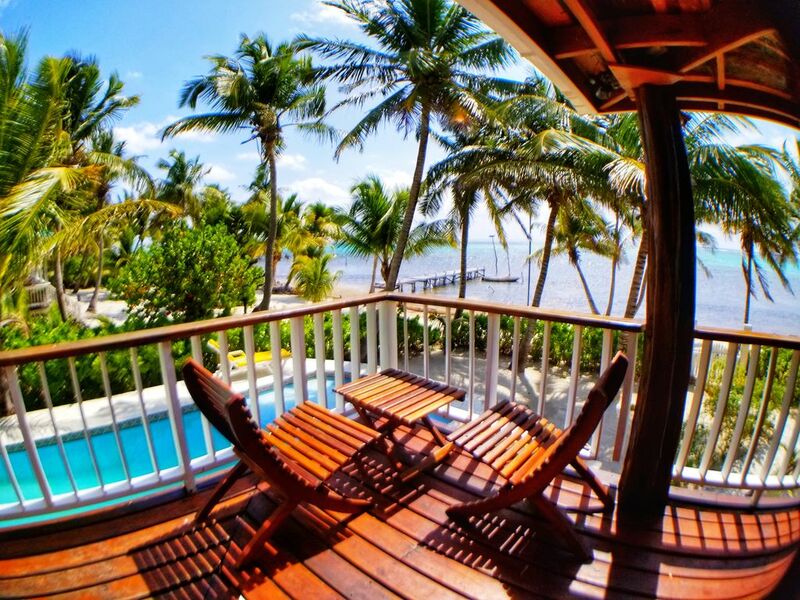 Please contact us below for more information on this lovely beachfront villa for sale on Ambergris Caye Belize.